FAYETTEVILLE, Ark. 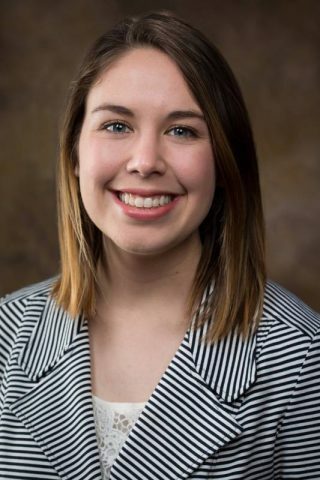 – Chelsea Coker of Tuttle, Oklahoma, a junior majoring in childhood education, was named this year’s Presidential Scholar for the College of Education and Health Professions at the University of Arkansas. The university recognizes one student in each college each year as a Presidential Scholar, based on grade-point average, other academic accomplishments and faculty recommendations. The award was established in recognition of the investiture of James E. Martin as president of the university in 1980. The winner receives $1,500. The College of Education and Health Professions will honor its top students in a ceremony April 20 in the Verizon Ballroom in the Arkansas Union. The college enrolled 4,089 undergraduate students and 1,321 graduate students for the 2015-16 academic year. Coker is the daughter of Lee and Jeanette Coker. She received the James Patterson Teacher Education Scholarship established by the New York Times best-selling author, the David Banks Teaching Scholarship, the Silas Hunt Scholarship and the Board of Directors Scholarship. 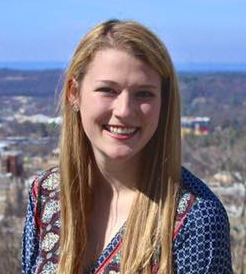 She has been named to the Chancellor’s List for five semesters. She plans to teach in an elementary classroom after graduation. Later, she plans to further her education in order to become an elementary school principal. Melanie Hosty, a junior from St. Louis, and Claire Sanchez, a sophomore from Springdale, won the Henry G. and Stella Hotz Awards in the college. The award is presented to the top student in the junior and sophomore classes based on grade-point average and other academic accomplishments. Hosty is majoring in kinesiology with a concentration in preschool-12th grade teaching. She is the daughter of Christopher and Sally Hosty. She received the PP Book Scholarship, the James H. Nobles Scholarship and the Jim Farris Jr. Scholarship. She plans to be a physical education teacher for elementary-age children, a coach of high school track and field and eventually become an athletic director at the high school level. She plans to pursue a master’s degree in kinesiology. Sanchez is enrolled in the pre-elementary education program. She is the daughter of Robert and Tracey Sanchez. She was inducted into the Alpha Lambda Delta National Honors Society for First Year Students and has been named to the Dean’s List and Chancellor’s List. She plans to teach second grade after graduation. The College of Education and Health Professions will honor five First-Ranked Senior Scholars and six Senior Scholars and present awards to outstanding students in each academic department. First-Ranked Senior Scholars: Erika Butler, childhood education; Elizabeth Freeman, educational studies; Megan Koenigseder, communication disorders; Paige McCullough, childhood education; Bridget Orfield, elementary education. Senior Scholars: Allison Bennett, elementary education; Rebecca Dorrell, kinesiology-applied exercise science; Taylor Griffith, childhood education; Alison Norman, nursing; Reed Smith, kinesiology-K-12 teaching; and Bentley Snider, nursing. Curriculum and Instruction: Martha Carmona, educational studies; Kelsey Layton, UATeach; Miranda Tims, career and technical education; Michaela Denise Adamec, career and technical education; Ericka Danielle Brockunier, elementary education; Hannah Pavey, childhood education; Catherine Miller, childhood education; Michael Tapee, secondary education; Jennifer Bruenger, special education; Michael Benoit, educational technology; Chelsea Jennings, educational leadership; Dawn Michelle Childress, educational leadership; Elizabeth Ann Mascher, educational leadership; Keena Crenshaw, curriculum and instruction; Ashley Parnell, curriculum and instruction. Eleanor Mann School of Nursing: Justin Higgs, RN-BSN Expert Leader Award; Margaret Parke Staley, RN-BSN Emerging Leader Award; Kathy Miller, RN-BSN Exemplary Capstone Award; Bentley Snider, Betty Battenfield Award; Alison Norman, Clinical Excellence in Nursing Award; Pamela Ratliffe-Warner, MSN Nurse Educator Student Award; Kelly Gilbert, Outstanding Graduate Student Award; Teshekia Hawkins, DNP Best Capstone Project Award; Deborah Capshaw, Outstanding DNP Student Award. Health, Human Performance and Recreation: Amanda Ederle, public health; Abbie Bryant Sudduth, community health promotion; Page Daniel Dobbs, community health promotion; Lauren Wethington, exercise science; Megan Rosa, exercise science; Lemuel Brown, exercise science; Alex McDonald, athletic training; Reed Smith, kinesiology-K-12 teaching; Chelsea Garner, physical education; Zuahir Abdaladeem Al Salim, kinesiology-pedagogy; Hannah Leigh Merlo, recreation and sport management; Melissa Steele, recreation and sport management; Bo Li, recreation and sport management. Rehabilitation, Human Resources and Communication Disorders: Megan Koenigseder, communication disorders; Savannah Learned, communication disorders; Laura Sherer, human resource and workforce development; Eric Mateos, human resource and workforce development; DeVaughn Stephens, human resource and workforce development; Lihua Yang, educational statistics and research methods; Valerie Couture, counselor education; Margaret Livingston Hindman, counselor education; Anthony Suarez, counselor education; Tammy Robertson, adult and lifelong learning; Blaine Alexander, adult and lifelong learning; Jamie Lyn Wangler, higher education; Alice Griffin, higher education; Cynthia Pegues, rehabilitation education. Two academic departments in the college will also present alumni awards at the ceremony. Susan Patton, Eleanor Mann School of Nursing. Patton has a master’s degree in nursing and is pursuing a doctorate in community health promotion. She teaches in the nursing school and formerly worked as a nurse practitioner, a hospital administrator and a medical group administrator. She worked to reduce infant mortality with the Robert Wood Johnson Foundation and the Healthy Futures Project under former Gov. Bill Clinton. She helped build St. Michael Hospital in Texarkana, which achieved magnet designation and was recently named one of the top 25 hospitals in America. 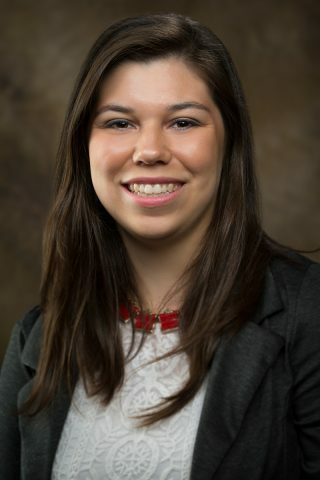 Laura Jacobs, Rehabilitation, Human Resources and Communication Disorders.Jacobs has a master’s degree in higher education and was recently named associate vice chancellor and chief of staff for Chancellor Joseph Steinmetz. She is responsible for executive strategy and strategic planning, advising the chancellor, serving as a liaison to internal and external constituencies, and advancing the institutional vision through special projects. She formerly worked as associate vice chancellor for University Relations at the U of A and director of communications for Crystal Bridges Museum of American Art and in the office of University Relations.